In India, the rental housing segment has largely been unregulated. This is why this housing segment has remained untapped, despite its huge potential. An absence of strict rules has led to a lot of litigation among landlords and tenants. So, to take care of both the aspects, the Central government has in its draft Model Tenancy Act, 2015, proposed to set up rent courts. According to the draft, in case of a conflict, landlords and tenants will have to approach rent court, and not civil court. In all tenancy-related disputes, the judgment of these rent courts will be final. These judgments could be challenged only in the Supreme Court. The rent courts will also be responsible for authorising rent agreements. Each rent court will be having one or more members who will be appointed by the state concerned in consultation with its high court. It is to be noted that lack of regulations also discourage landlords to give their premises on rent, even as the demand for rental housing increases day by day. 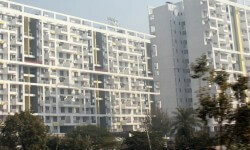 After the process to set up rent courts is initiated, India's rental housing might undergo a significant improvement.